Show someone you care! Sew magnetic hearts that turn on when they snap together. Learn the basics of e-textiles and make a gift just in time for Mother’s Day. Join us for our workshop is Tuesday, April 30th at 7 PM. What are e-textiles? E-textiles, or electronic textiles, are fabrics with electronics integrated in them. 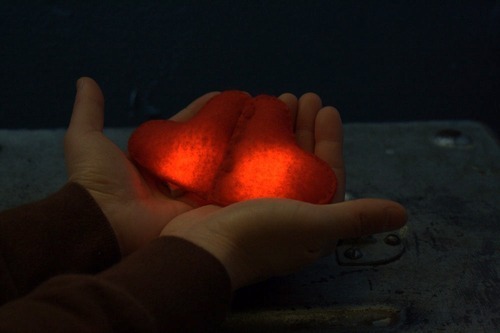 Each heart has a circuit that is sewn together using conductive thread.